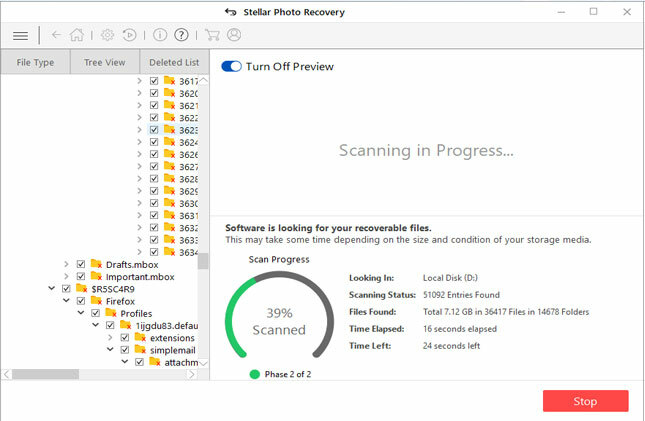 Photo Recovery software recovers photos, videos and audio and other multimedia files that are deleted, lost, missing due to formatting or corruption of memory cards, hard drives, USB drive, digital cameras or from any other external storage devices. 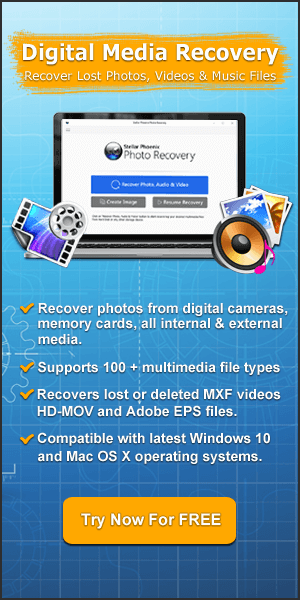 Photo Recovery is a helpful tool that recovers all your seemingly lost photos, videos and other multimedia files. The software scans the selected storage devices and displays the list of all the recovered photos, videos, audios and other multimedia files. You can see the preview of recoverable files in three views such as List View, Thumbnail View and Cover View. The tool also provides you with the feature to choose single as well as multiple files for recovery. The software supports recovery of all popular and major used audio, video and image formats. Supports all major and popularly used image, videos and audio files. Restore all your lost or deleted photos from any media storage devices. The software easily recovers images, songs, movies and other videos from damaged, formatted or corrupted internal or external storage devices. The software supports recovery of image file format such as JPEG/BMP/TIFF/GIF/PNG, Paint Shop Pro Image File (PSP), Picture File (PCT), Mamiya (MOS. MEF), etc. Recover almost all types of video file format that is deleted/lost/damaged or corrupted and restore it with original quality. The tool recover video file format such as 3GP, AVI, MP4, Matroska video file (MKV), DivX, XviD, MOV, AVCHD Video File (MTS), VOB, FLV and many more. Rescue all types of audio files such as songs, mp3, karaoke, music compositions, audio recordings or any other lost/deleted audio files. The tool supports recovery of audio file formats such as MP3, WAV, MIDI, OGG, AIFF, RM, AMR, M4A, RA, WMA and many more. The tool also recovers pictures that got deleted/lost or corrupted from any model/make of Digital camera. It has the capability of recovering RAW image file format from all digital camera such as Canon, Nikon, Sony, Olympus, Samsung, Kodak, Pentax, Fuji, Panasonic, Mamiya, Minolta, Sigma, Epson, etc. The software efficiently recovers images, videos and audio files from all brands of memory card, even if you format or delete your memory card data. 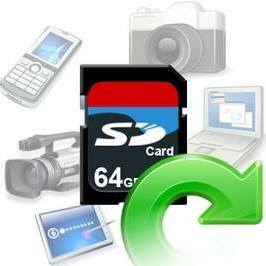 The software support all types of memory card like SD card, MMC card, XD card, micro-SD card, Lexar card, etc. Note: Do not add any new data to the storage media as it overwrite the previous data and hence you may lose the chance to recover data successfully. 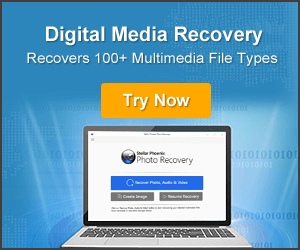 Photo Recovery tool comes with advance algorithm that scans and recovers the multimedia files even from severely damaged/corrupted storage media devices. The scan engine now works 30% faster, providing the users a new recovery experience. Now scanning, preview and saving the entire process have improved and becomes smoother. The software allow you to efficiently recover your photos even if you had lost them due to formatting or deletion of your hard drives, SD card without taking any backup or creating an image of the hard drive. Note: Try not to add any new data to the hard drive or card as it overwrite the previous data and hence you may lose the chance to recover data successfully. Apart from “Classic List” and “File List” the software also provide “Deleted Files” tree list, which only display photo, audio and video files that previously deleted from your computer. This will help you in recovering files that are deleted specifically and leave all other existing files from the list. The software is really advanced as it can scan storage media as large as 2TB of disk memory for the recovery of photo, video and audio. This feature of the tool helps users as well as professionals to retrieve their multimedia files from large hard disk memory at one try. Photo Recovery allows the option to add new file headers to the list of the existing photo, video and audio file category. This feature is useful for those who use new file types which is not available in the default file list for recovering the corresponding file format without any issue. It is very helpful and easy users can just add file headers by using “Drag and Drop” features. The file preview features of Photo Recovery allow different option to preview the scanned files. Users can preview the files in three different options such as ‘Cover Flow View’, ‘Thumbnail View’, or ‘List View’. Once the selected storage media get scanned for recovery, it display the tree list as per these views. Apart from recovery of photos, the tool also restores the thumbnails of the photos. This is obviously important in the case when the pictures are highly or severely damaged or corrupt and full recovery becomes impossible. But with this feature users can at least recover the thumbnails of the photo. 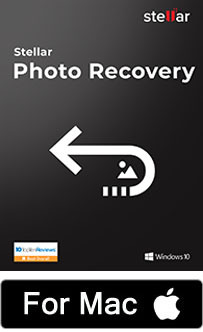 Step 1 – Install “Photo Recovery” software and launch it on your computer. 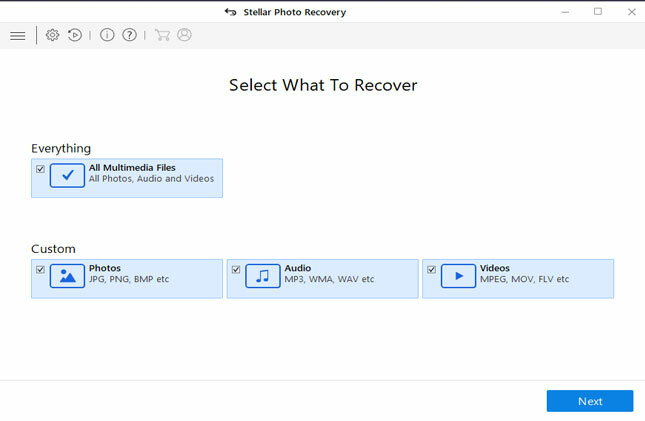 Click on “Recover Photo, Audio & Video” tab to recover photos, videos and audio files from any SD card, external USB drive or computer hard drive. Connect the media to your computer and then perform the process. 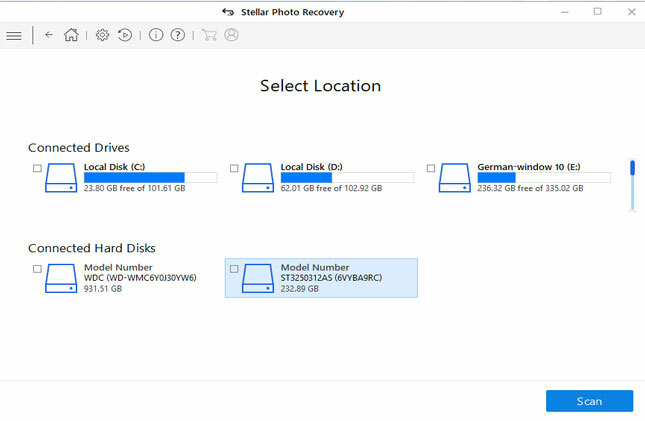 Step 2 – Select the drive from which you want to recover files. All the hard drive and external media will be shown in the list. Now select the desired drive to scan and then click on “Scan” button. 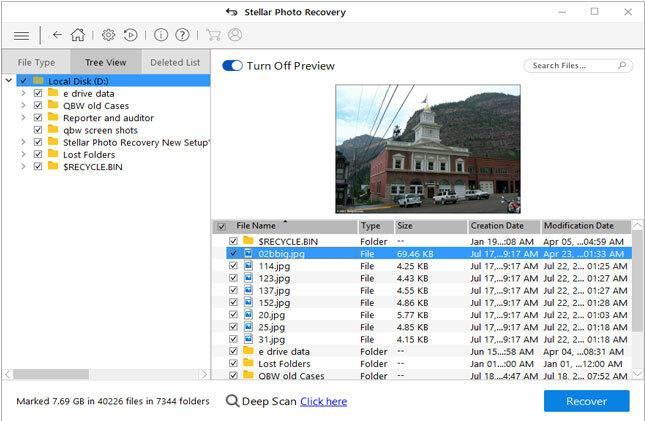 Restore lost, deleted or formatted photos, music and video files from your digital camera, smartphone or any other devices in easy & simple steps.